Pregnancy Week 15: Your Baby Bump is now a Fetus! 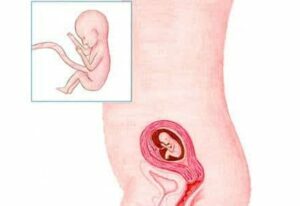 Up until now, your belly baby was officially called an ‘embryo’, which is the medical term for your little miracle. From this week, the official name is ‘fetus’, which is Latin for ‘child’. This week, your baby will grow tiny fine hairs all over their body. These are called lanugo hairs. The hairs don’t have a function as yet, but in a few weeks, they will do. At that time, baby will cover themselves in a sort of white ‘cream’ to protect the skin against the amniotic fluid. That cream attaches better to the little hairs. Your baby is now 3.98 inches and weighs 2.47 ounces. Your body starts producing a different hormone to the one you have been making these past weeks. And your body needs to readjust to that. So, pamper yourself a bit more than usual. Enjoy a facial mask, ask your partner to massage your feet or take a trip to the hairdresser. And even if you feel absolutely fine and don’t notice the hormonal changes, still do nice things for yourself! Some women are very privileged this week because they can feel their baby! This is usually women who have had a baby before so this is not their first pregnancy. There is no guarantee you will feel your baby this week. Sometimes you just need to be patient.